The highest clouds in the Earth’s atmosphere have generally been a rare and beautiful sight but scientists say they are now becoming more visible because of human activities. A new study found noctilucent clouds – the silvery-blue (and sometimes reddish-orange) night-shining clouds that light up the skies – can be seen more frequently because of increased water vapour in the atmosphere. Researchers say this phenomenon is “an indicator of human-caused climate change”. Noctilucent clouds form when water vapour freezes around tiny particles of dust from meteors in the middle atmosphere (mesosphere) – around 50 miles above the Earth’s surface. These clouds were first observed in 1885 after the eruption of Krakatoa volcano in Indonesia caused large amounts of water vapour to build up in the air. As sightings became more common in the 20th century, scientists began to wonder whether climate change was making noctilucent clouds more visible. In the new study, researchers from the Institute of Atmospheric Physics in Kuhlungsborn, Germany, used satellite observations and computer models to simulate the effects of greenhouse gases on noctilucent cloud formation over the past 150 years. The use of fossil fuels releases carbon dioxide, methane and water vapor into the atmosphere – all of which are greenhouse gases. Results from the simulations reveal methane emissions have increased water vapour concentrations in the mesosphere by about 40% since the late 1800s, which in turn, has more than doubled the amount of ice that forms in the mesosphere. 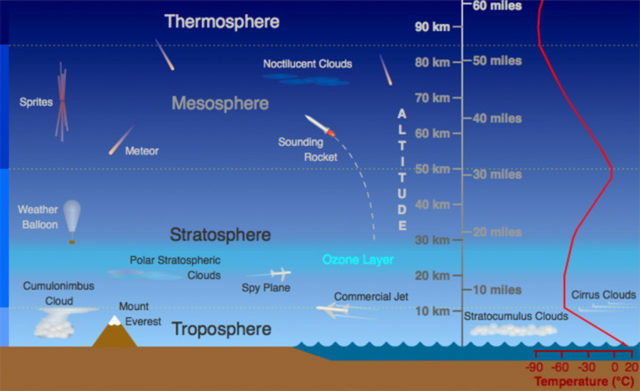 The researchers say this is because the water vapor in mesosphere comes from two sources: water vapor from Earth’s surface that is transported upward, and methane, a gas that produces water vapor through chemical reactions in the middle atmosphere. They conclude human activities are the main reason why noctilucent clouds are significantly more visible now than they were 150 years ago. Noctilucent clouds are generally visible at dawn and dusk, when the sun illuminates them from below the horizon. The simulations revealed the presence of noctilucent clouds depends on the conditions of the mesosphere as well as the solar cycle (the phases in the sun’s magnetic field that lasts around 11 years) and can fluctuate from year to year. But over the whole study period, the clouds have become significantly more visible. 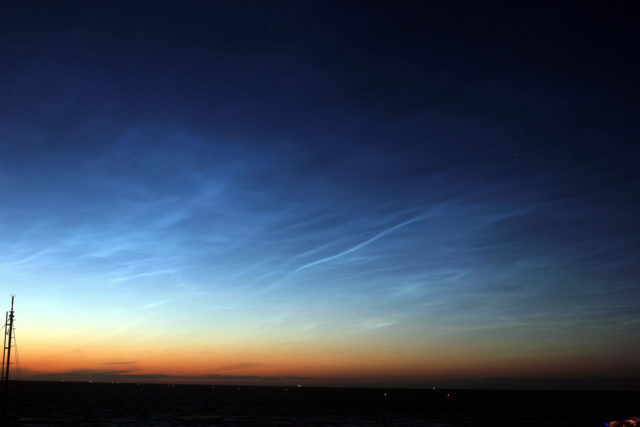 According to Prof Lubken, people living in the mid-to-high latitudes now have a good chance of seeing noctilucent clouds several times each summer. These clouds would have probably been visible only once every several decades or so in the 19th century, he added. The study is published in Geophysical Research Letters.